The Legend of Zelda: The Minish Cap (AKA ゼルダの伝説 ふしぎのぼうし Zeruda no Densetsu Fushigi no Bōshi) is an action-adventure role-playing game (RPG) developed by Capcom for the Game Boy Advance handheld console. Released in 2004 for the GBA, The Legend of Zelda: The Minish Cap was acclaimed by critics on its creative gameplay and overall game quality. Capcom, with its development team Flagship, took the helm of developing this installment under the watchful eye of Nintendo. After all, The Legend of Zelda is one of their greatest franchises so they need to maintain its reputation. 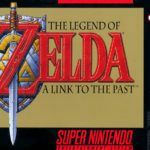 The same team was also responsible for creating Oracle of Ages and Oracle of Seasons. In The Legend of Zelda: The Minish Cap, Link must save the princess from the evil sorcerer, Vaati. In order to do that, he’ll need the help of miniature beings called the Minish. The gameplay revolves around Link shrinking in size using the Minish cap to solve puzzles and defeat enemies. This ability presents new interesting scenarios wherein the miniature Link can pass through locked doors and other hazards. Those who have played the other Zelda games will be familiar with the controls. Weapons can be assigned to buttons A and B and to pull the menu, the Start button should be pressed. Shoulder buttons make Link roll, push, pull, and fuse Kinstones but they are rarely used and should have been assigned to other quick moves. The graphics of the game are top-notch and go to show that 2D games can still hold their own given attention to detail and lots of care during development. The Legend of Zelda: The Minish Cap for the GBA doesn’t do a copycat as far as design is concerned as it veers away from its predecessors and instead adapt a more SNES-like ambience with a cartoon-like aesthetic. 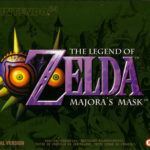 Music is reminiscent of old Zelda games as they are combined throughout the game with new compositions. Sound effects are aplenty and appropriate starting from Link’s signature yell when he is swinging his sword. The Minish Cap is the same and yet different from the previous The Legend of Zelda titles. It’s a fitting installment to a great saga that will never die. The Legend of Zelda: The Minish Cap has been ported to Game Boy Advance (this version), Nintendo 3DS, and Wii U Virtual Console.